I am pleased at the responses from clients and the public that found our “inside insights” very helpful. We hope this information will help make easier the important but difficult decision process of choosing a lawyer. Here Part 1 & 2 continues. You may want to learn more about the Supreme Court litigation (case) titled, State vs. Chun, et al. State vs. Chun, et al. Is the landmark litigation that is controlling in most DUI cases in NJ. In fact, many out-of-state attorneys are talking about this litigation on their websites, blogs, Facebook, etc. There are only seven (7) defense counsel who represented defendants in this litigation. As the defense team strategist, I was one of them. You may want to choose a lawyer from this pool. And next I will tell you why that can be a good idea. State vs. Chun, et al. was a Supreme Court evidentiary hearing on Alcotest evidence in New Jersey courts. “Alcotest” is the name of the breath testing machine that New Jersey uses to prosecute people for DUI. During State vs. Chun, et al. the issue was whether or not the test results from the Alcotest are scientifically reliable and admissible. The accuracy and reliability of the Alcotest was challenged by the defense. There were many scientific/legal issues involved and revealed during this litigation. Without knowing all these scientific/legal issues, an attorney cannot and will not defend an Alcotest case to the fullest. There are 60,000+ licensed attorneys in New Jersey. Refining your search by “Chun” litigation will give you a choice of only seven (7) Chun defense attorneys. Then, your next step should be to speak by telephone with each of these “Chun” attorneys. During the conversation you should ask the attorney how many cases he has WON-not how many clients he has represented. 3. Is that lawyer representing you for all hearings? After you narrow down a choice of lawyers, you want to ask that law firm if the same lawyer is actually representing you in court for all hearings. There are many law offices that run “associates” or per diem attorneys. This is allowed, but if you think the owner of the law office is the best lawyer and you would like that owner lawyer to represent you for all hearings, you should make sure if that is really what you will get. 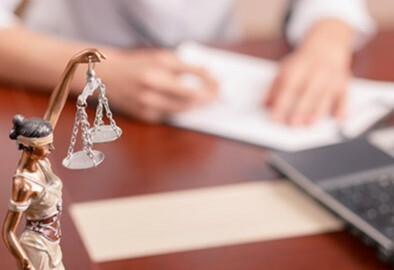 Sometimes, an associate or per diem lawyer appears for all pre-trial hearings, and the owner lawyer appears only for a trial. Sometimes the client is passed off to a different lawyer. You should make sure of whom and what you are getting. At the Law Offices of Bartholomew Baffuto, all hearings, including the trial, are personally lawyered by the owner of the law firm, Bartholomew Baffuto, Esq. We stick to this policy because effectively defending a DUI charge requires deep knowledge in science, a rich set of legal skills, and a repertoire of formidable strategies. No one else can duplicate this unique set of skills deployed by Bartholomew Baffuto, Esq.